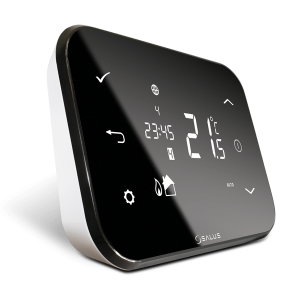 The T105RF is a stylish, simple to install and use wireless RF fully programmable room thermostat with a range advanced features and selectable modes. We now have an air source heat pump. the main wired remote control is very complex. 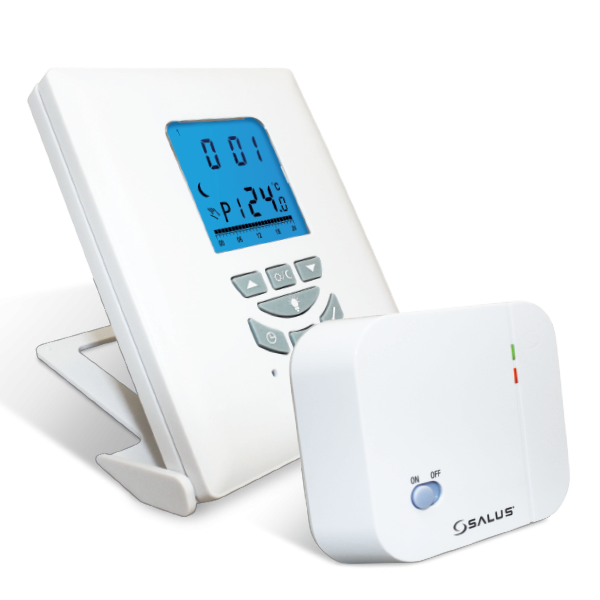 We also have this wireless thermostat that we can take with us around the house and to the bedroom to get a warmed morning. The unit is big enough to not get lost and small enough to be easily visible. The display is clear and can be read from the other side of a room. 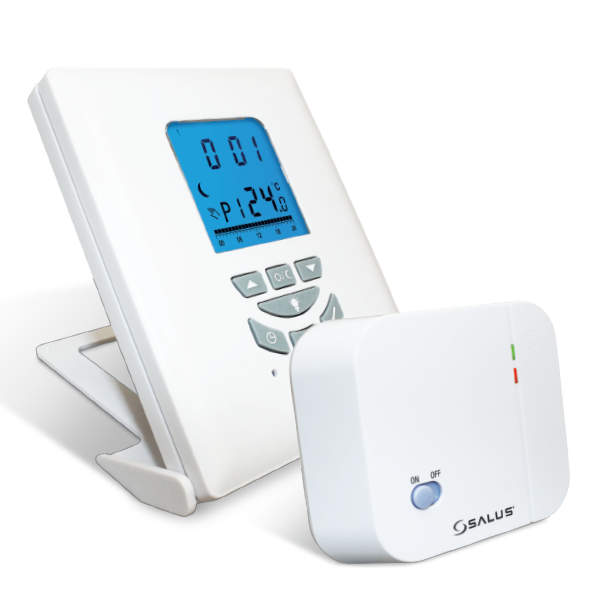 It is simple to operate, easy to program, and allows us to have precise control of our heat. We are very please that our heating engineer decided on this unit. 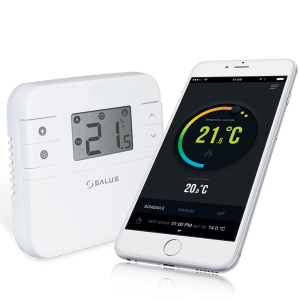 A nice looking unit which is not too hard to program, but has one annoying feature which Salus can’t explain. Whatever time it is set to come on at it actually comes on exactly 50 minutes early! I have tried changing the frequency as suggested but it always does the same thing, and this spoils my opinion of what should be a very good unit. This is part of the optimisation feature. Your heating will gradually increase and reach the set temperature, for the set time. Example: If you set your heating at 22 degrees for 08:00am, your heating will gradually rise (before 08:00am) so your desired temperature is reached by 08:00am.